These queries return cumulative statistics since SQL Server was last restarted, since statistics were last manually cleared or since index metadata type actions were last run. 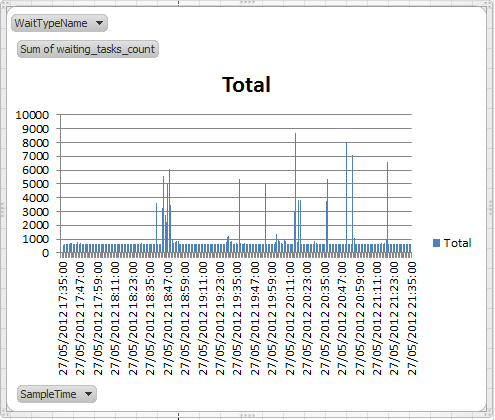 Plotting cumulative figures over sample time we’d see steadily increasing slopes. Sudden increases in slope would indicate a point of interest. For example, sudden increase in share level lock wait time indicating blocking. These types of points of interest would be more easily revealed if we were to plot the differences or deltas between consecutive sample times. In many blog posts about cumulative statistics (for example, https://sqlscope.wordpress.com/2012/04/09/analysing-wait-type-latch-and-spinlock-statistics/) we see the use of SQL constructs such as windowing functions (LAG), subqueries, CROSS APPLY to calculate these deltas. Although these approaches are valid relying on SQL constructs can be limiting. 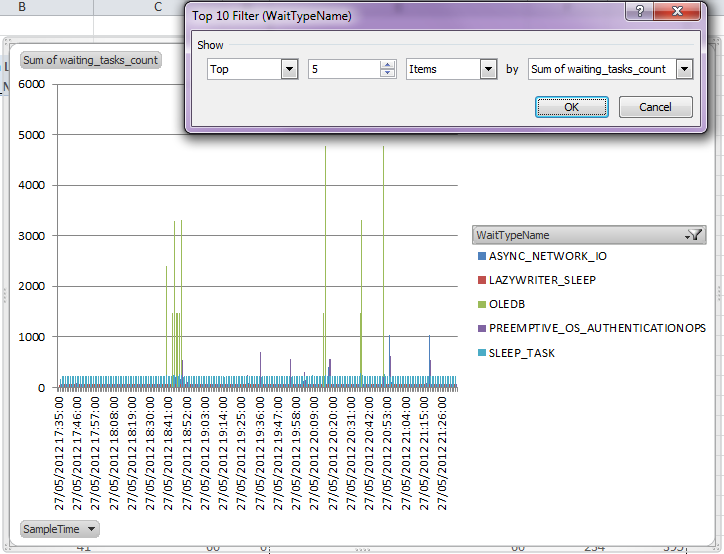 You’re using SQL Server to calculate the deltas for every column that you wish to graph. If a difference or delta calculating function existed in your reporting tool then the same generic approach could be applied to all your cumulative statistics columns rather than you having to hand roll SQL to do the calculations. 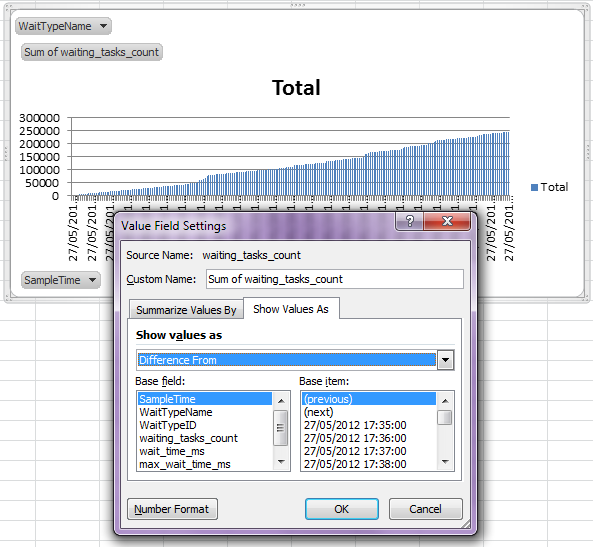 In effect you are offloading the business intelligence function to your reporting tool.